It’s been a while since I did anything with my followers of Tzeentch but they’ve not been forgotten. 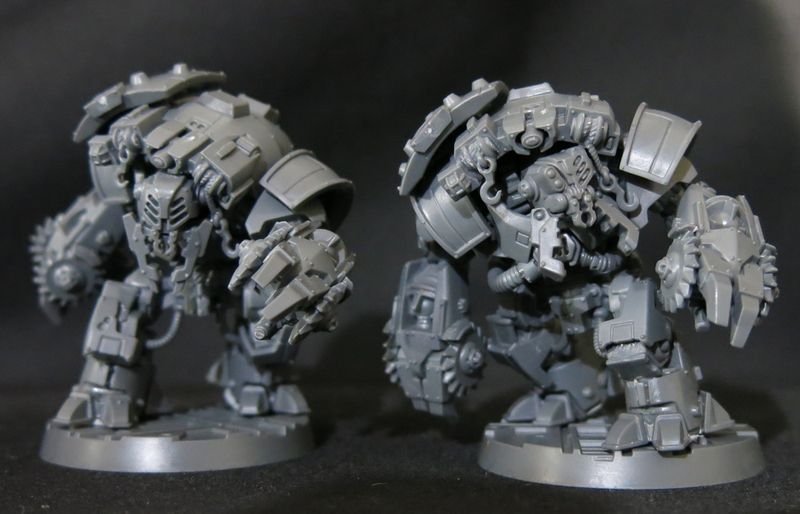 Part of the trouble has been my increasing dissatisfaction with the scale of the older space marines which has put me off doing much with chaos in general lately. 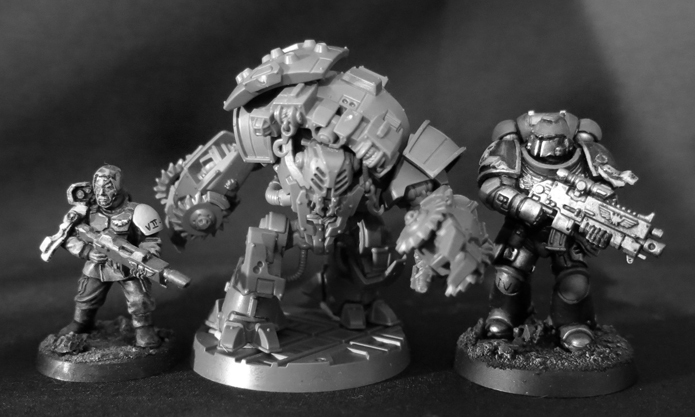 The Thousand Sons were a great improvement over their predecessors but now look just a little too short in comparison to the Death Guard and Primaris ranges. 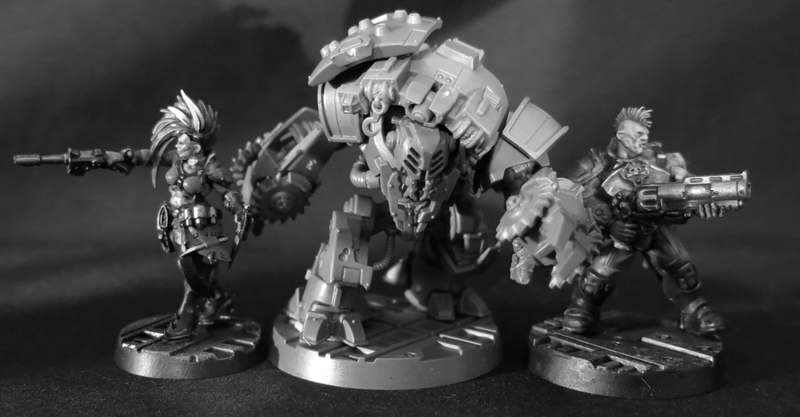 My ambition is to recreate my old chaos army but with marines of a sensible size instead of the tiny models I found myself tolerating in the past. That won’t happen for a while though, indeed it may prove to be many years in the making. In the meantime though here’s a WIP Thousand Sons sorcerer who can hold his head up in pride next to the bulkiest of the False Emperor’s warriors. I’m not sure yet whether this chap will be the Machiavellian mastermind behind my Inq28 change cult or the first of a small cabal of sorcerers and a little Thousand Sons force. Watch this space I suppose. Just a quick one today, another example of the down-at-heal hive scum I’m working on to serve as bullet-catchers for my gangers. This chap certainly looks fairly doleful, although I can’t imagine that working as hive scum is a lot of laughs. 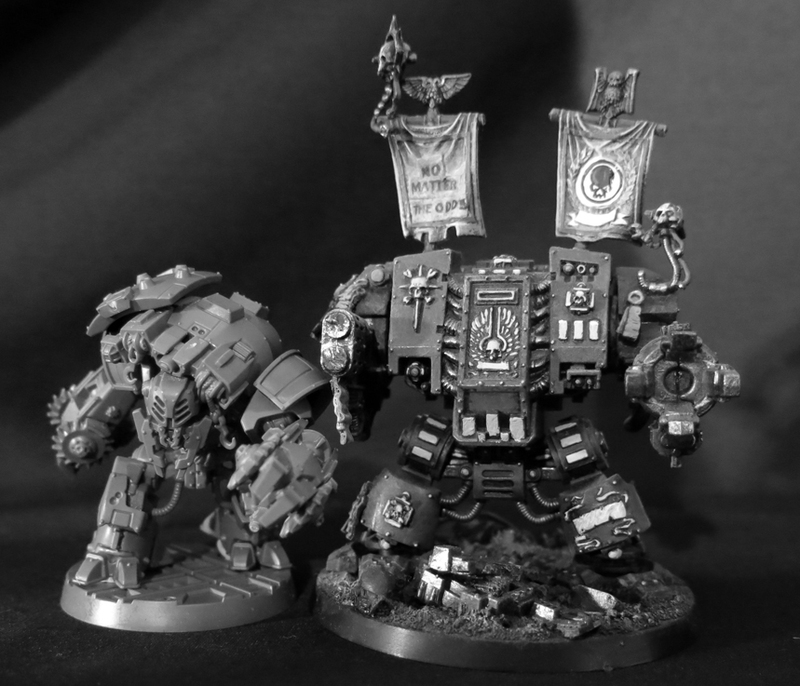 Still, if you need someone to engage in questionable and often violent activities in the dark of the Underhive, no questions asked, and you’re on a budget, he might just be the very man. 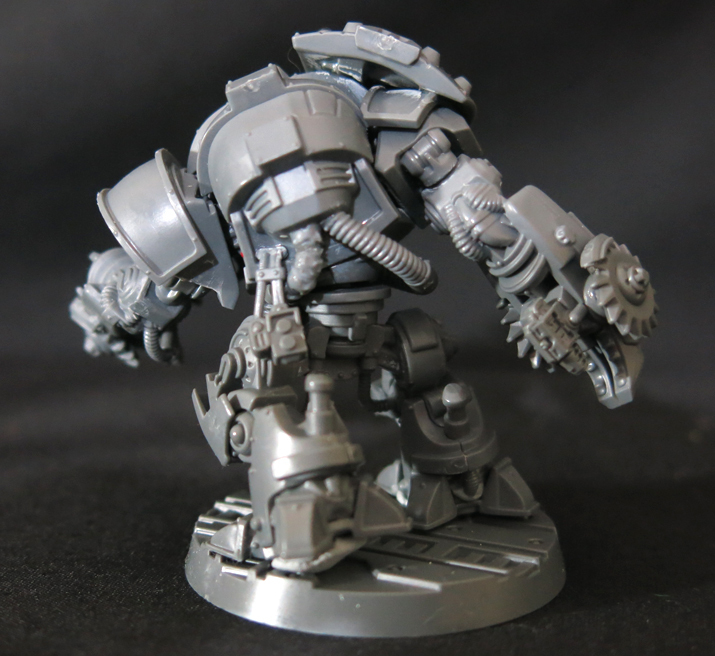 He was a fairly simple and straightforward model to build (I needed the rest after tackling a Van Saar! 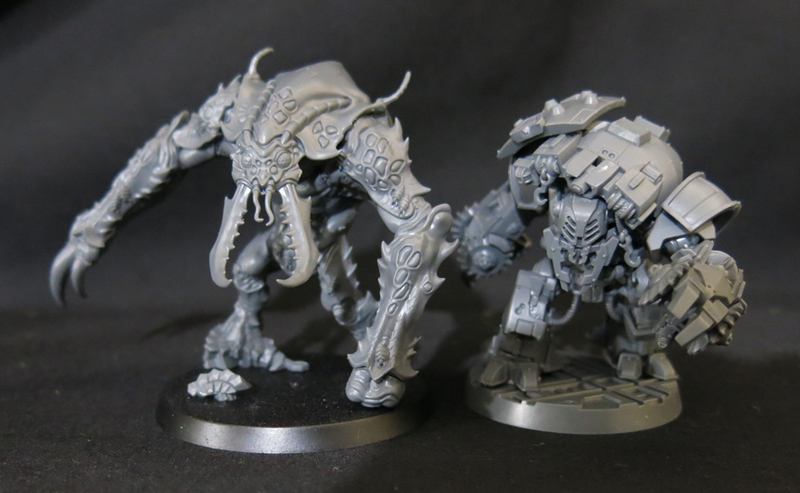 ), essentially just a spare poxwalker with a bloodreaver’s head and one of the ever useful kharadron backpacks. However as usual if you have any suggestions for tweaks or improvements do let me know. If my gangs want to establish their notoriety in the Underhive they’d better not go embarrassing themselves by getting lost, falling into a crevasse or blundering aimlessly into the lairs of any savage beasts. What they need is someone who can guide them through the cramped tunnels and gloomy depths in exchange for a modest share of any loot, yet who lacks the guile to successfully sell them out to their rivals. We need a dome runner and this chap looks like the very man. In the long run I’ll be creating a pool featuring all of the hangers on to be available to my gangs, plus some hive scum, bounty hunters, downtrodden civilians and whatever else I can come up with.